Social media has become a powerful tool not only keeping fans updated, but also helping to pull in new fans. The 411 on the sport can now easily be shared with just one click. Social media was all abuzz this week, still in celebration over Laurel Park based rider, Weston Hamilton, taking home his very first Eclipse Award. The 20-year-old took home the coveted prize for Outstanding Apprentice Jockey last week after riding his way to the winner’s circle 118 times and collecting earnings over $3.4 million in 2018. 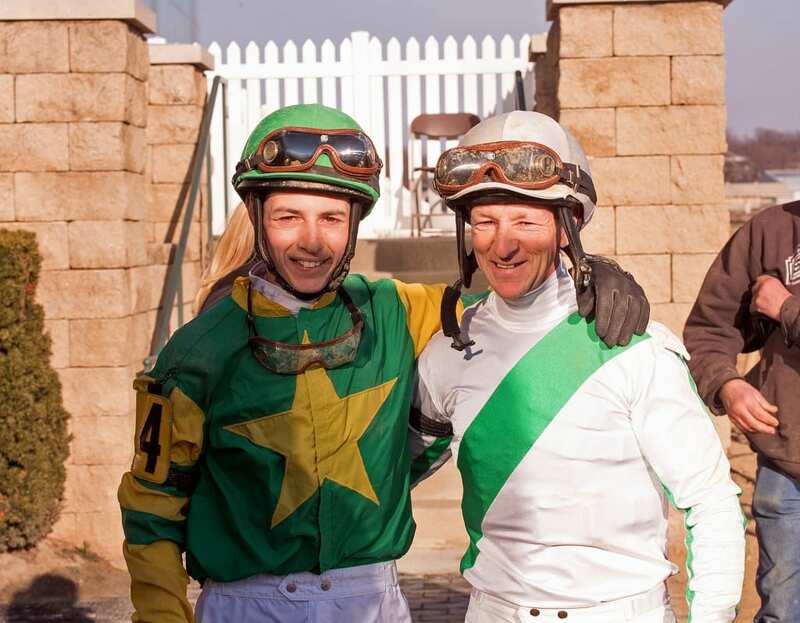 Born in Maryland, Weston Hamilton is the son of veteran jockey, Steve Hamilton, who also rides regularly at Laurel Park. Hamilton received the award on January 24th, at Gulfstream Park Racing & Casino in Hallandale Beach, Fla.
A hot topic that made its way around social media this week was when the New Jersey state Assembly’s Agriculture and Natural Resources Committee unanimously cleared a bill that could ultimately require the disclosure of identifying marks on horses that will be sold at auctions. Should the bill pass, tattoos, brand marks, and microchip information will be available online for 72 hours before the sale is set to commence, making it easier for horse rescues, as well as owners, to find their way to horses that otherwise may be on their way to an uncertain future. The bill, sponsored in the state Senate by Dawn Marie Addiego (D-Burlington County) and Troy Singleton (D-Burlington County), passed that body unanimously last July. If the bill becomes law, perpetrators of the first offense will be fined $200, with second offenders being handed a fine of $500. If this bill is passed, it could potentially help save the lives of countless horses. Prince Lucky won the 2017 Pennsylvania Nursery Stakes. Photo by Bill Denver, Equi-Photo. 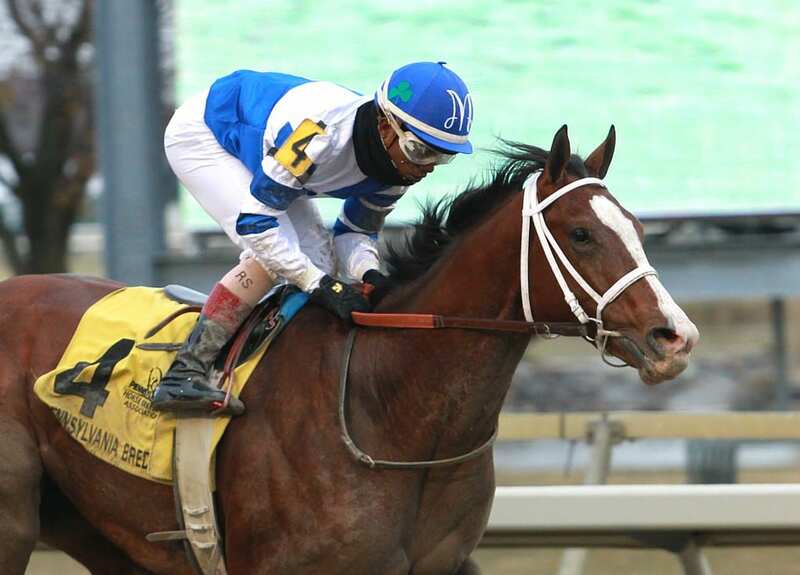 Pennsylvania-bred, Delaware certified Prince Lucky was nominated to the 2019 Godolphin Mile (Gr.2). As the name suggests, the $1.5 million race is contested at the distance of one mile, and is esteemed for being the second-richest mile race held on dirt in the world. The race will take place on March 30, on the undercard of the Dubai World Cup at Meydan Racecourse. Trained by Todd Pletcher and owned by Daniel McConnell, Prince Lucky has a career record of four wins from eight starts, and earnings of $231,690. The Corinthian gelding was last seen in action at Belmont Park in June of 2018, scoring in the Easy Goer Stakes on the undercard of the Belmont Stakes (Gr.1) that day with Johnny Velazquez in the saddle. While Prince Lucky has yet to make a start in 2019, he has been training forwardly at Palm Beach Downs in Del Ray Beach, Fla. His latest workout came as a bullet on January 29, when he drilled through five furlongs in 1:00.07.